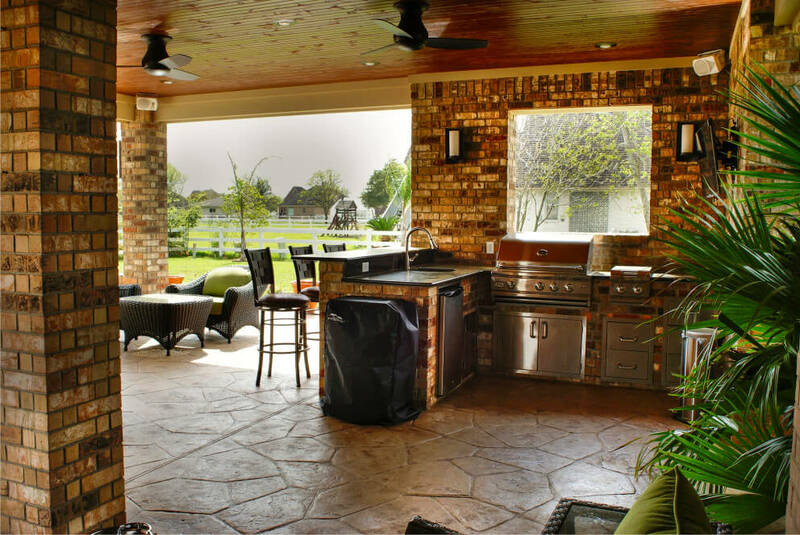 Like all Texas Custom Patios projects, we designed the patio cover to look original to the home – matching shingles, an attractive roof pitch, matching brick, hardieplank soffit and fascia, etc. The outdoor kitchen has a privacy wall, vented above the grill. The kitchen includes a grill, side burner, refrigerator, sink, and plenty of storage…lots of doors and drawers. The fire pit has firebrick interior, brick exterior, and a flagstone cap. There is a gas starter for the wood-burning pit. The seat wall has matching finishes and low-voltage lighting. A late addition to the project was a gorgeous entry into the backyard that gives a hint of the great outdoor living room around the corner. 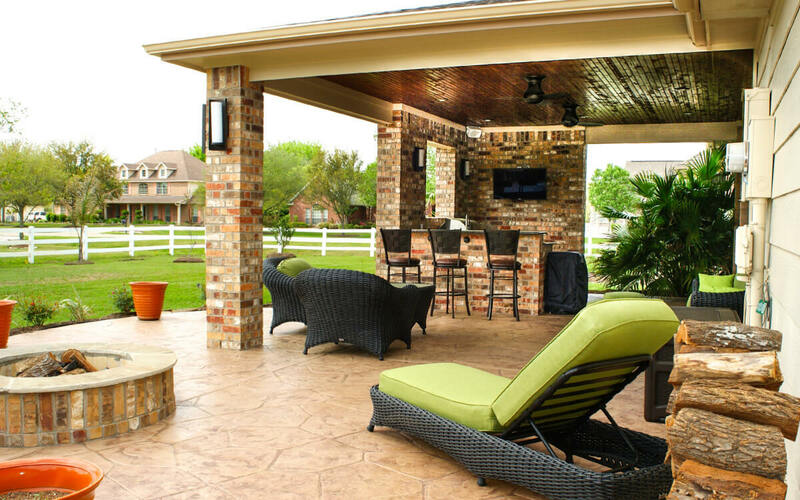 The homeowner chose fantastic light fixtures for both the interior and exterior of the patio cover. The whole stamped concrete patio is surrounded by colorful landscaping.